A potent complex of bioavailable and bioactive multi-vitamins, minerals, plant extracts and hair essentials like Biotin, Kelp, Saw Palmetto & Horsetail plus full spectrum extractions of Ashwagandha and Ginseng combine to promote healthier, thicker, stronger hair. 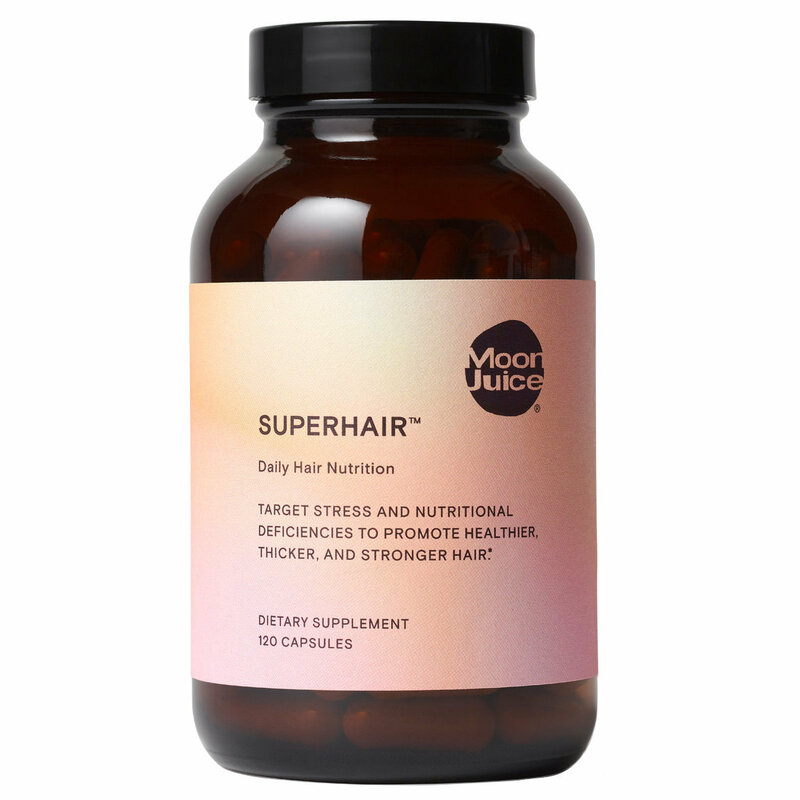 Helps build hair health four ways – targeting stress with adaptogens, replenishing nutritional deficiencies, providing follicle protection, and boosting critical hair micronutrients. Adaptogens help manage your body’s response to stress, reducing its impacts on the health of your hair. A multi-vitamin complex to replenish nutritional deficiencies & promote a healthy environment for hair growth. Botanicals that help inhibit the growth of DHT, a hormone which can thin & weaken hair follicles, leading to hair loss. Essential elements for thyroid hormone balance that support and encourage hair health and growth. 4 capsules a day. With or without food. Multi-Vitamin Complex: Vitamins A, B, C, D, E, K, Iron, Zinc & Folate in bioactive forms for easy assimilation. Pumpkin Seed: A source of fatty acids to help inhibit the conversion of testosterone into DHT, a hormone known to cause hair loss. Organic Ashwagandha: An adaptogen that helps balance stress hormones, which can contribute to hair loss. Horsetail: A botanical that provides silica, a necessary micronutrient for hair strength and thickness. Organic Ginseng: A revered adaptogen that may help protect the body from oxidative stress, which can age your hair. Organic Kelp: A rich source of natural iodine, an essential element for endocrine and thyroid hormone balance. Saw Palmetto: A berry to help inhibit the DHT hormone, which can damage hair and lead to hair loss. Biotin: A potent B Vitamin that supports healthy keratin infrastructure and texture.